In 2018, for the second year in a row, Sensible Money was ranked by an independent rating firm, AdvisoryHQ, as one of the top ten financial services companies in the Phoenix area. 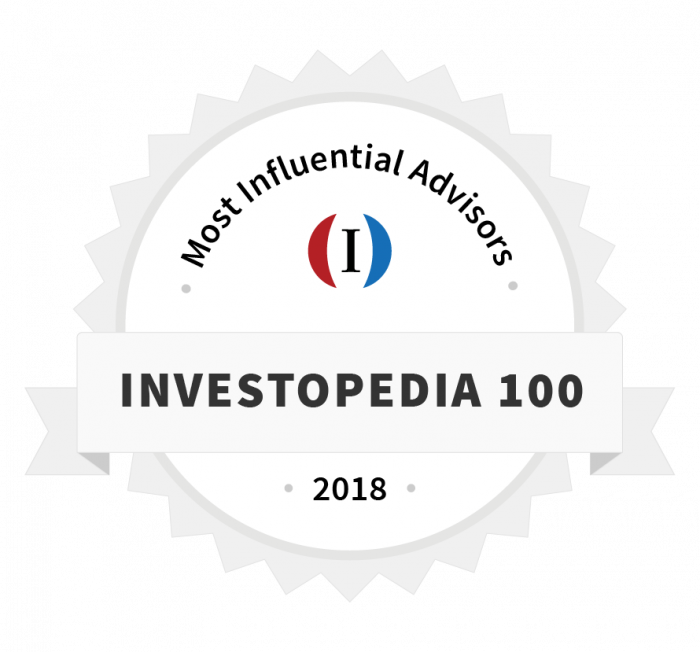 In addition, in June 2018, Investopedia added our Founder and CEO, Dana Anspach, to their Top 100 Most Influential Advisor list for her ongoing contributions to financial literacy! Super cool. Her passion is helping people become more informed about finances. 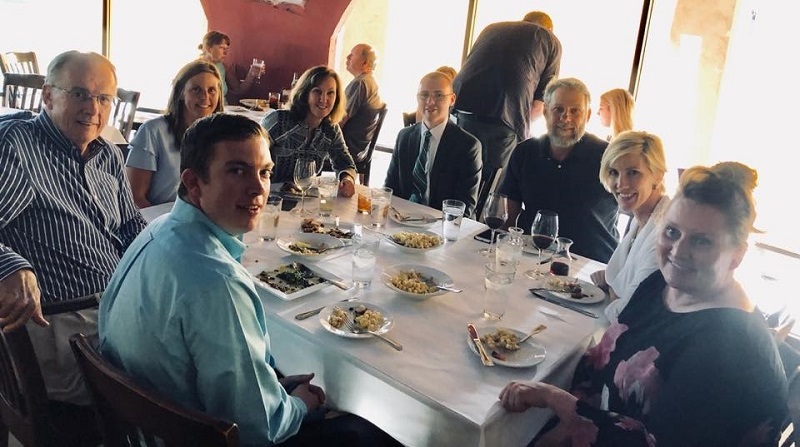 We do think we are not only one of the best financial advisors in the Phoenix area, but one of the best in the country. Below are the reasons why. Did you know of the 350,000 plus financial advisors in our country, about 90% work in a business model that allows them to accept commissions from the sale of investment or insurance products? Sensible Money is in the 10% that does not. We cannot be compensated by selling you a product. We are fee-only financial planners. Fee-only means that rather than being paid to sell you something, our job is to represent you with the same standard of care that a CPA or attorney has. We give advice that is in your best interest. You would think that all financial planners do this, but that is not so. Because many advisors are not required to provide advice in your best interest, in 2016 the Department of Labor issued a new consumer protection law referred to as the DOL Fiduciary Rule. What is a fiduciary? A fiduciary is someone who is required to act on behalf of the best interests of their clients. This rule was struck down in court. But due to other regulations under the Investment Advisor Act of 1940, our firm continues to have a fiduciary duty to provide advice in the best interests of our clients. As a fee-only, fiduciary advisor, we can manage investments on behalf of our clients – but we can’t receive compensation that is based on the type of investments we use. When we manage investments, we custody assets with the institutional division of Charles Schwab, and build equity portfolios with low-cost index funds (often Dimensional Funds). For the fixed income component, we use bond funds, Guggenheim Bulletshares, and individual municipal and agency bonds. We can take over existing portfolios, incorporate existing holdings, and develop a tax-efficient transition plan for changes that need to be made. Dana Anspach, Sensible Money’s Founder and CEO, is a nationally recognized expert in retirement income planning. From 2008 – 2017 she wrote for About.com as their MoneyOver55 Expert. This site is now called TheBalance.com where she continues to serve as their expert on Retirement Decisions. She also contributes retirement planning content to MarketWatch and is the author of Control Your Retirement Destiny (now in its 2nd edition) and Social Security Sense. Since 2009 Dana has been part of the Retirement Income Industry Association, now the Investments & Wealth Institute, where she collaborates with top academics in the field of retirement income planning. These experts recognize that you cannot approach retirement planning in the same way that you approach general financial planning. Dana acquired the Retirement Management Analyst designation (RMA) in 2010. There are currently only a few hundred RMAs in the country, and four of them work for Sensible Money. Using the knowledge from the RMA program, Dana designed a thorough financial planning process that all of Sensible Money’s financial planners use. This planning process contributed to the selection of Sensible Money as one of the best financial advisors in Phoenix. Another area of expertise that makes our services stand out from other financial advisors is our ability to include tax planning in the work we do. Many brokerage firms prohibit their financial advisors from providing tax advice. The best financial advisors are not subject to these restrictions because they don’t work for a brokerage firm. Instead, they practice as independent financial advisors and they know that tax planning is an important part of the financial planning process. Research by Morningstar, Vanguard, and Ernst & Young have all consistently shown that appropriate tax planning consistently applied to a client’s situation can add anywhere from 1 – 3% in additional value. For example, in Morningstar’s Alpha, Beta, Gamma paper they quantify the “Gamma” or potential value that can be added by tax-smart allocation and withdrawal sequencing as ranging from 2.33% to 4.41%. We pay attention to taxes. Key areas where we focus are 1) the location of your assets (which asset classes belong in which types of accounts), 2) applying tax-loss and gain harvesting to all non-retirement accounts, and 3) designing a plan as to how you will withdraw funds in retirement in a way that is as tax-efficient as possible. We incorporate all of this into what we call our Time to Drink retirement income plan. You do not have to decide whether you want to work with Sensible Money right off the bat. We offer a complimentary introductory session where we have conversations about whether financial planning can add value for you. At this meeting, we provide an estimate of how much financial planning for your situation will cost. To set up a meeting, fill out our secure online Pre Meeting Questions. Many people find their financial advisor from a friend. This might work out, but the best financial advisor for your neighbor or friend might not be the best financial advisor for you. Some financial advisors have particular areas of expertise. Be sure to interview advisors to find the best person for you. Below are questions you can ask to help figure out if a potential advisor is right for you. Do you have a fiduciary duty to your clients? Do you put your advice in writing? Do you provide performance reports that show how my investments are doing relative to my goals? Do you provide tax planning? The answers to these questions should be yes. Also, ask the Phoenix or Scottsdale advisors that you may be interviewing if they have an area of specialty and ask them to describe their typical client. Our physical office is located in Old Town Scottsdale, although, to avoid traffic, many clients prefer web meetings once they’ve met us in person once or twice. Plan your meetings around lunch or happy hour – we’re near a lot of great restaurants! To learn more, visit the services page of our website. We’d welcome the opportunity to help you build and preserve your wealth.